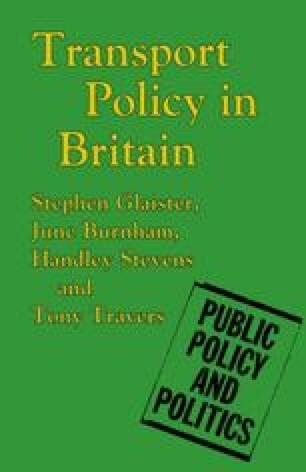 The operation of a modern economy and the enjoyment of a modern lifestyle depend heavily on the smooth running of efficient transport systems, but there has until recently been remarkably little sustained and comprehensive debate about transport policy in Britain. Even among politicians it has received only limited attention. A measure of shrewd political judgment might be needed to make the best choice of road and public transport schemes within the inevitable constraint of limited resources, but by and large transport policy was regarded as a rather unglamorous technical portfolio to be given to someone at the far end of the Cabinet table.